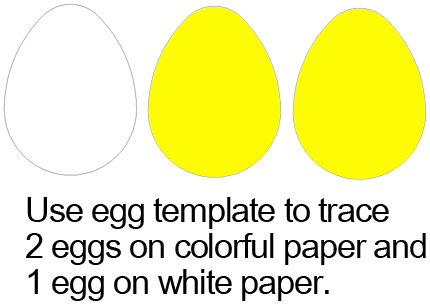 Use egg template to trace 2 eggs on colorful paper and 1 egg on white paper. 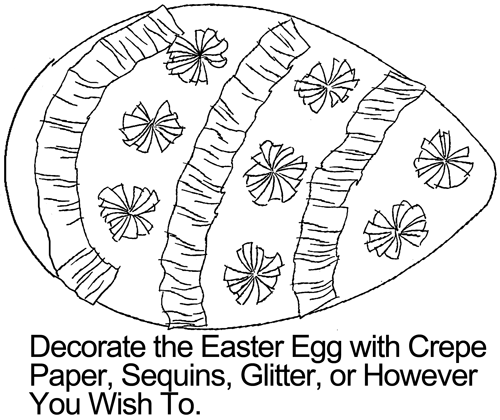 Decorate the Easter egg with crepe paper, sequins, glitter or however you wish to. 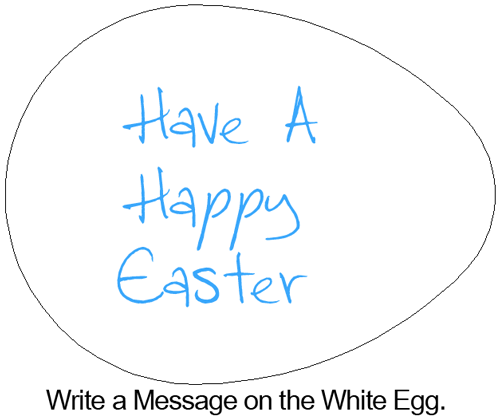 Write a message on the white egg. 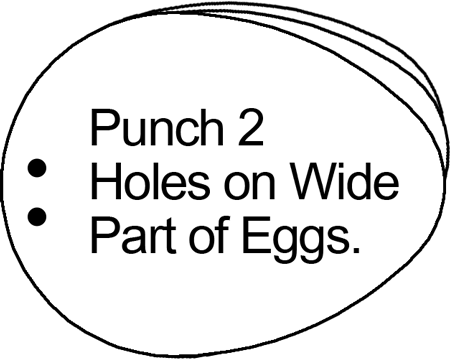 Punch 2 holes on wide part of eggs. 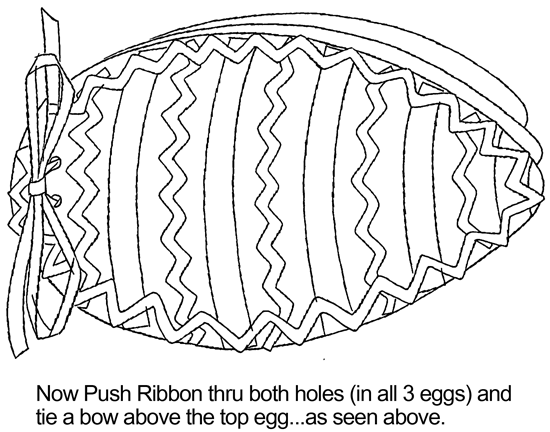 Now push ribbon thru both holes (in all 3 eggs) and tie a bow above the top egg… as seen above. 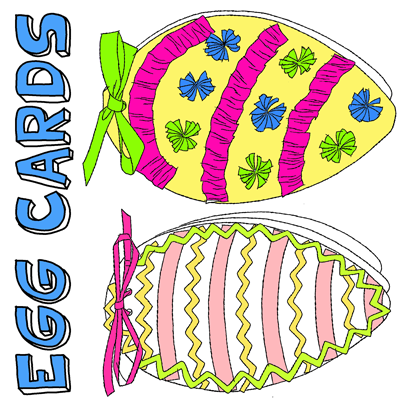 And, there you have it….. you just finished making an Easter Egg Card. 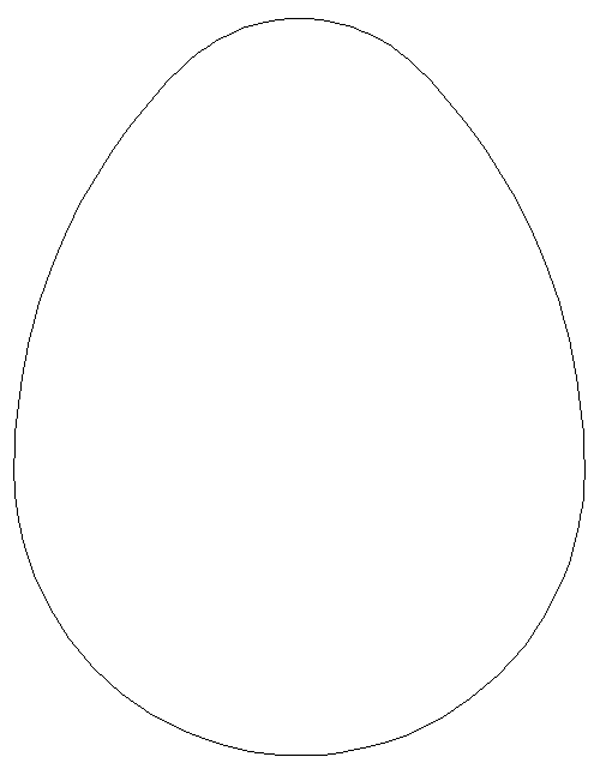 Now, make a few more and hand them out to loved ones or friends this Easter. 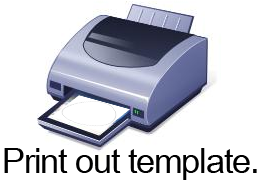 The receiver will be sure to love them.